Homeownership among 24- to 32-year-olds fell 9% between 2005 and 2014. 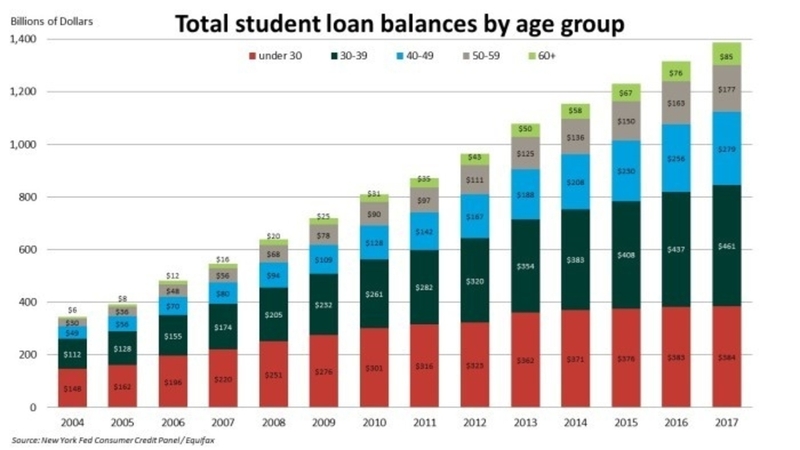 A key factor for that drop is tied to the rise in student loan amounts, according to the Federal Reserve in a new report from its Consumer and Community Context series. The Federal Reserve directly attributes about 20% of this drop in homeownership to student debt, and estimates approximately 400,000 potential home owners have been impacted. According to the report, an increase of $1,000 in student debt results in a 1-2% decrease in homeownership among borrowers in their late 20s and early 30s. Overall, student debt for individuals under the age of 40 during that 2005-2014 time frame more than doubled, rising from $290.1 billion to $754 billion. Such debt can affect former students’ ability to save for a new home. It can also impact their credit scores later in life, especially if they default on the loans, and negatively impact their ability to qualify for mortgages. Tightened lending standards following the 2008 recession have made qualifying more difficult as well. As of the third quarter 2018, overall student debt has reached $1.6 trillion. Student debt and auto loans account for more than 90% of non-revolving credit and approximately 69% of all outstanding non-mortgage credit. NAHB economist Litic Murali explains further on Eye on Housing.